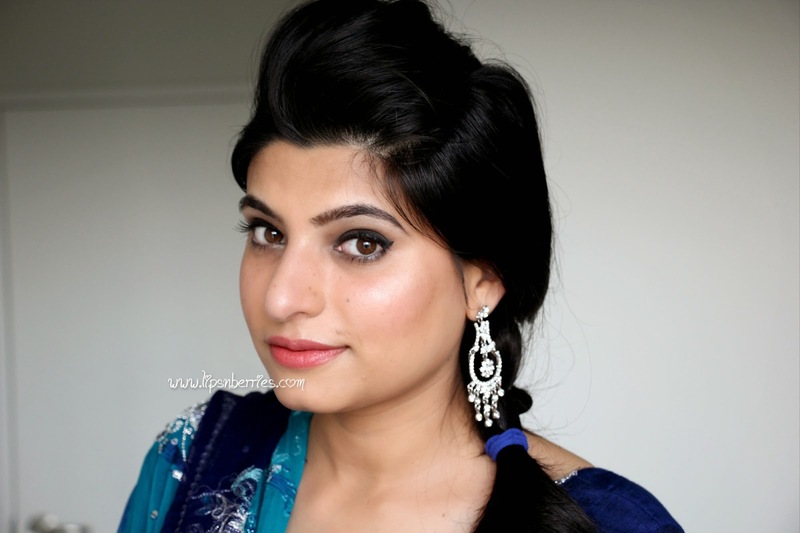 Diwali Outfit & Makeup! | LIPS n BERRIES! 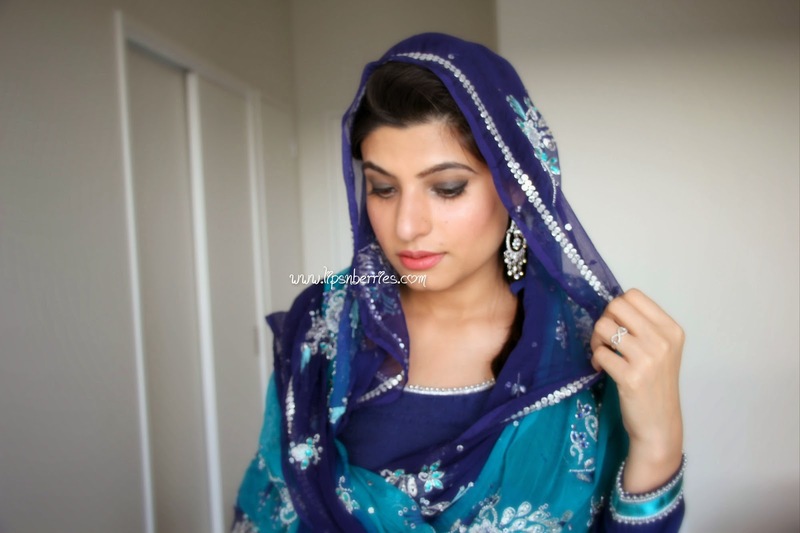 Some of you expressed interest in seeing my Diwali look so here it is! Thank you for taking out the time to leave a line on the post. Comments keep me going! So, I'm usually always rushing before any event. 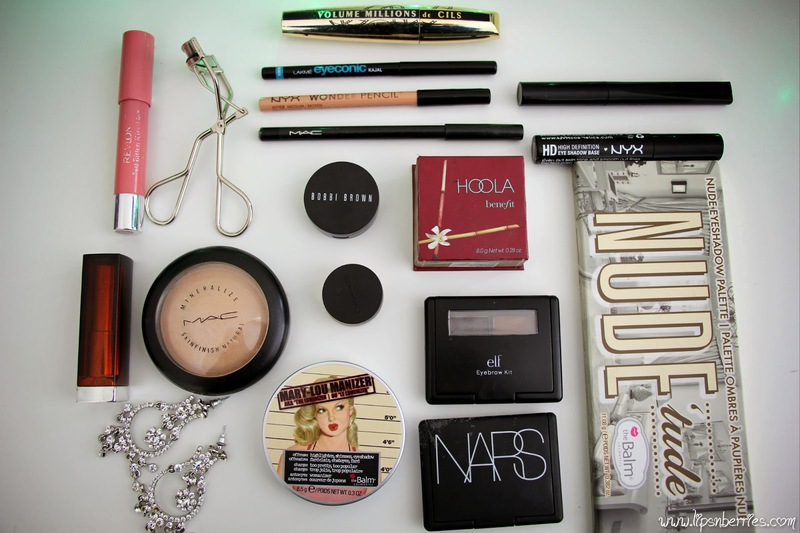 A forgotten Mascara or highlighter is quite a norm! But this Diwali thanks to friends who didn't bother to get dressed on time, I actually had a bit of time to click my makeup pics. Blessing in disguise! As I say, I'm makeup novice so both praise and critique is well appreciated! 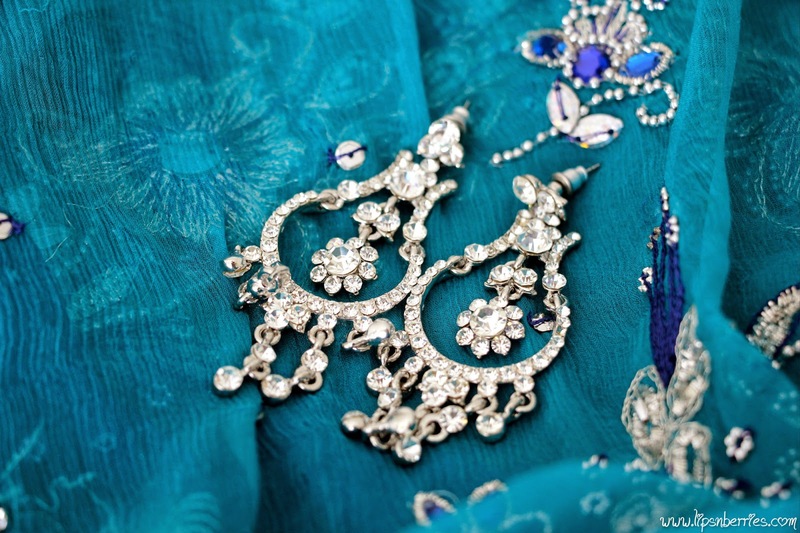 For dress up, I chose this dual toned blue outfit with silver stone and embroidery work on it. 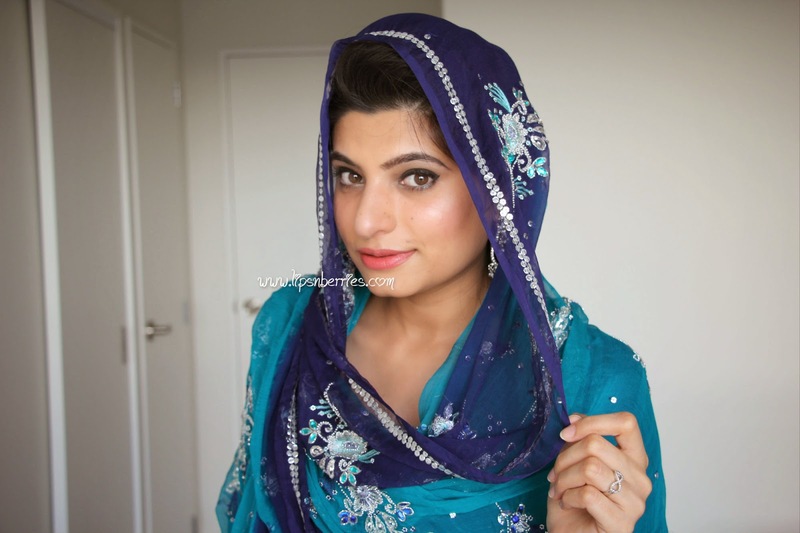 The dupatta/veil is pretty heavy so I got a very simple Kameej (fitted tunic) and Patiala Salwar (puffed pants) made when I went to India this year. My fittings have changed drastically since then as I'm at the heaviest I've been all my life (Thank you random cooking phase) so I had to loosen up the tunic a night before. And so I was able to breathe in it! I chose to braid my hair as we are required to cover our head at Sikh Temple so loose hair would have been a mess. I teased the front bit to create more of a puff as it tends to tone down my strong jaw! The earrings were silver swaroski crystal kinds. I did post a picture of them on our Instagram and Facebook pages while dressing up and it tended to evoke a mixed reaction. Some didn't like them. I went with them simply because I do not have much of a collection of silver jewelry. Gold's my forte! I had this tiny test pot of MAC Mineralize Foundation and decided to try it out. In the hindsight, it would have been better to use a higher coverage foundation as my skin was pretty crap that day (bet you can't make that out from the pics!) and the light to medium coverage foundation didn't quite cut it. Of corse I realized it when it was too late. A smoky eye looks best with flawless base and mine wasn't. No regrets though. All in the name of learning! NYX Wonder Pencil in 'Medium' on the waterline. I tried the taping method for the first time as seen in this video by Jas Sagu.!!!! It looked pretty do-able so off I went with it. I started with MAC Smolder Kohl smudged all over my lids (Use any creamy black eye pencil), then packed shade 'Serious' from N*ude Tude Palette on top of that (Basically any matte black eyeshadow). Shade 'Sultry' (a nice matte brown) from same palette was used as crease color, to blend it all in. 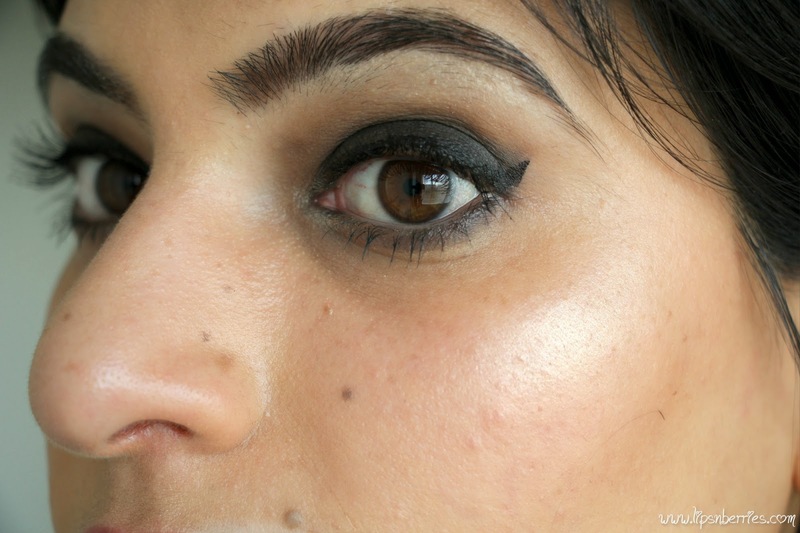 I tight-lined upper lash-line with Lakme's black Kajal pencil. 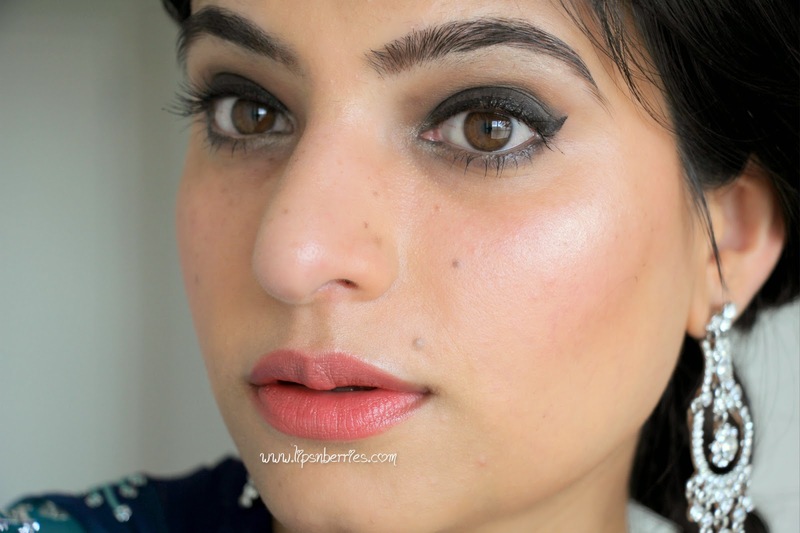 Waterline was lined with NYX Wonder Pencil in 'Medium'. 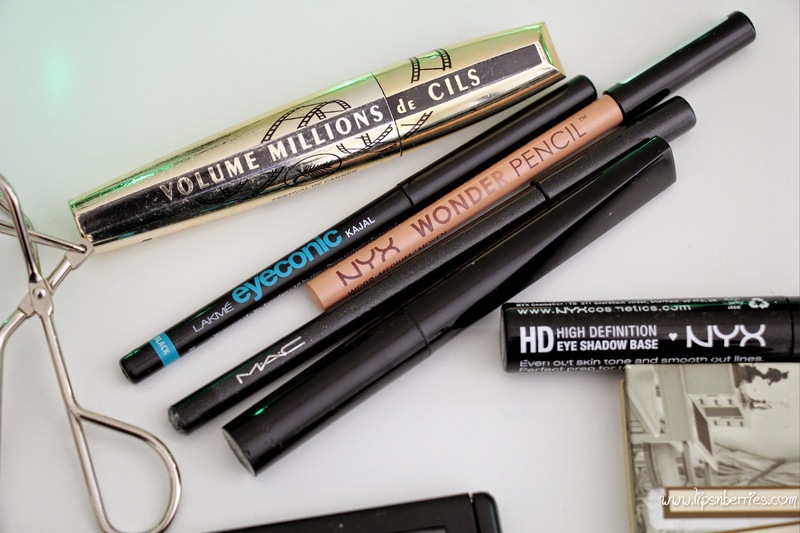 I have a feeling this might replace my NYX jumbo pencil in 'Milk' which was a hot favorite for waterline, but seemed to look a bit stark if overdone. Wonder pencil looked completely natural. A liquid back eyeliner was used to create a wing which I now feel was completely unnecessary. Or I could have gone with a bigger wing. As it was my first time cello taping, I couldn't judge how tiny my wing was coming out. Lesson learnt! Try the YouTube tutorials before an event's makeup, not right on time. When I finished the eye, it looked pretty smoky to me but looking at the pics, I do feel like more could have been added. But then it did seem like an appropriate amount of makeup for a prayer ceremony. Well it's actually a mix of 3. I first applied Revlon's balm stain in 'Rendezvous', a nice peachy coral that happens to be my favorite. It looked too warm with the outfit so I wiped it off. That did leave a peachy stain though. I then applied another balm stain in 'Honey Douce', a berry pink. That looked too odd with black smoky eye and so it was topped with Maybelline's lipstick in 'My Mahogany', which is the best n*de lipstick for warm medium skin tone IMO. So what you see here is a mix of 3 lip colors. I was pretty happy with it in the end. So there you have it! 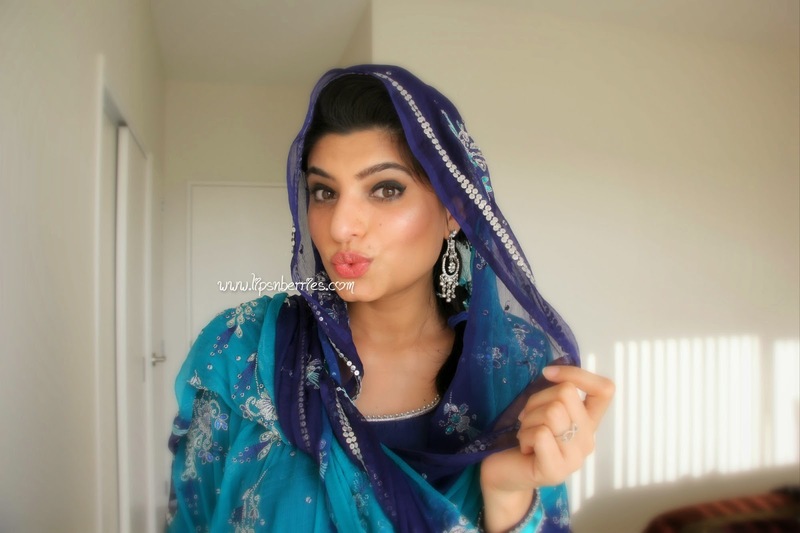 My Diwali Makeup. Lots of lessons learned! Do you have any comments? I'd love your advise and suggestions! Do you like such makeup posts? Let me know in the comments below.